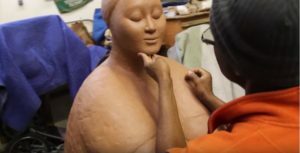 In a new video published by The Church of Jesus Christ of Latter-day Saints on 7 April 2016 titled “Followed Him to find peace,” Nnamdi, an LDS sculptor, tells the powerful story of how he learned to forgive the man who killed his brother who was two years his younger. The death of his brother literally turned his world upside down, as it was his brother who had supported him and made it possible for him to come to America to realize his dream as an artist. He struggled for many years, wondering how he could ever forgive the man who had caused such deep pain and sorrow in his life. As this author watched the 2:00 video clip, I could absolutely relate to what this man felt and went through for a period of time. Why? Because six years ago, in April 2010, I found myself in a similar situation asking some of the same questions that he perhaps asked. On 12 April 2010, while vacationing in Utah, I received word that a routine medical procedure that the older of my two sisters was having had gone terribly wrong, and that her life was hanging in the balances. In fact, she was only breathing two to three breaths per minute on her own. It was at that moment that I felt so helpless and so all alone. My sister and I have always been very close. She has always been there for me, supporting and believing in me, even at times when I did not believe in myself. She always knew how to cheer me up and always made me feel important and special. Even after I had moved away from home and joined the military, she would keep clocks set in different parts of her home to keep track of what time zone I was in at any given time. She always amazed me with special gifts, some of which she made herself as a token of her love for me. Those gifts have become some of my most valued earthly treasures – worth more to me than all the silver and gold that money could buy- for they are priceless. Like Nnamdi, my world too was turned upside down as I wondered how my life would go on without my sister, my friend, being there to turn to. I also dealt with periods of anger and rage as I tried to understand how something like this could have happened, and how could I ever forgive the medical staff responsible for what had happened. Like Nnamdi, I finally came to the understanding that God has a purpose and a plan for all things. Continuing to harbor anger, rage, and hatred toward the medical staff was doing absolutely nothing for my sister’s situation, but it was literally tearing me up on the inside. 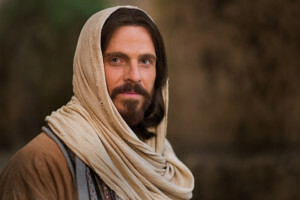 It was not until I decided to let go and forgive those who were responsible for the condition that my sister is now in that I was able to find true peace through Jesus Christ.